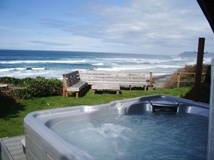 (Lincoln City, Oregon) - “Where are the fans,” you’ll find yourself asking. 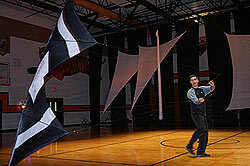 One Lincoln City event constantly causes this query every year, where kites – normally used outside, in the very-much moving air of the Oregon coast – are flown indoors in a gravity-defying display of fascinating technique. As kite fliers and organizers alike prepare for Lincoln City’s fourth annual Indoor Kite Festival, they once again brace for the inevitable question. Expecting giant whirling blades and machines generating a roar reminiscent of the last scene of “Casablanca,” attendees always seem surprised there is no wind of any kind inside the Taft High School 7-12 gymnasium. Instead, it's the motion and movement of the people pulling the strings that keeps the kites above the floor. Constantly moving, their arms, legs, hands -- their entire bodies -- are more of a blur that the kites they wield. The kite festival happens March 30 to April 1, at the Taft High School in Lincoln City. Coming from as far away as Canada, the festival hosts nine internationally known performers, who choose to return every year to one of the premier indoor kite flying events in the country. Not that it’s just kites. Sandy Pfaff, Executive Director of the Lincoln City Visitor and Convention Bureau, calls the festival as much ballet as kite flying. Being an aerial event, however, that ballet is high above the floor. When performer Debbie Park of California climbs 30 feet above the gym floor, wraps herself in curtain-like ropes and performs, it’s more like Cirque du Soleil than woeful Charlie Brown. Choreographed to music and the motions of numerous kite fliers, Park’s acrobatics are one of the highlights of the aerial show. Indeed, hundreds of people attended last year’s three-day event, most of them unaware of what they were about to see. They just knew that when they left they were amazed fans of indoor kite flying. OK, so there are some fans. Free windless flying space in the commons is available to practice what the experts taught you. 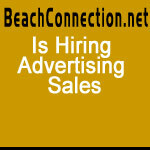 And they’ll teach you for free at the times indicated in the schedule. You just need to get out on that floor and try. Activities for the kids including flying lessons and playing with balsa wood gliders (available for a fee). March 30 to April 1. Admission: $2 per person, $5 per family, including all kids 15 and under. 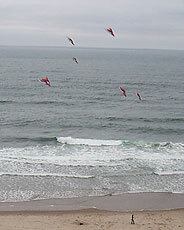 For more information on the 2007 Indoor Kite Festival in Lincoln City, contact the Lincoln City Visitor and Convention Bureau at 1-800-452-2151 or www.oregoncoast.org.